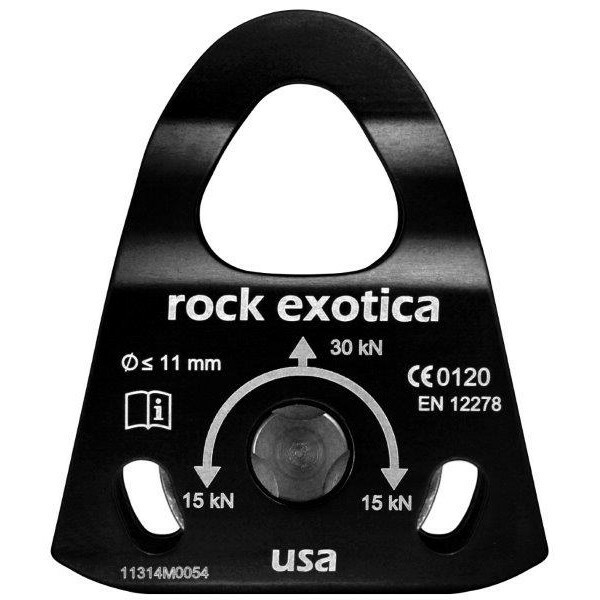 Rock Exotica pulleys are lightweight pulley designed to handle human weight. Their high quality standards, made in the USA products are recognised worldwide. Machining the axle into the side plate allow Rock Exotica to make an extremely light weight pulley with a 30 KN rating. Rock Exotica pulleys are lightweight pulley designed to handle human weight. Their high quality s..
Rock Exotica pulleys are light weight pulley designed to handle human weight. Their high quality s..
Rock Exotica pulleys are lightweight pulley designed to handle human weight. Their high quality stan..
Rock Exotica pulleys are lightweight pulley designed to handle human weight. Their high quality st..
Ronstan is a renowned pulley manufacturer that offers quality of all its components. They pulleys..
Ronstan is a renowned pulley manufacturer that offers quality of all its components. They pulleys ..
Ronstan is a renowned pulley manufacturer that offers quality of all its components. The Ronstan 64.. The Omni Swivel Pulley is made with the same unique way that all Rock Exotica products are made wit..